The infamous Shelby GT500 returns with a supercharged, hand-built V8. 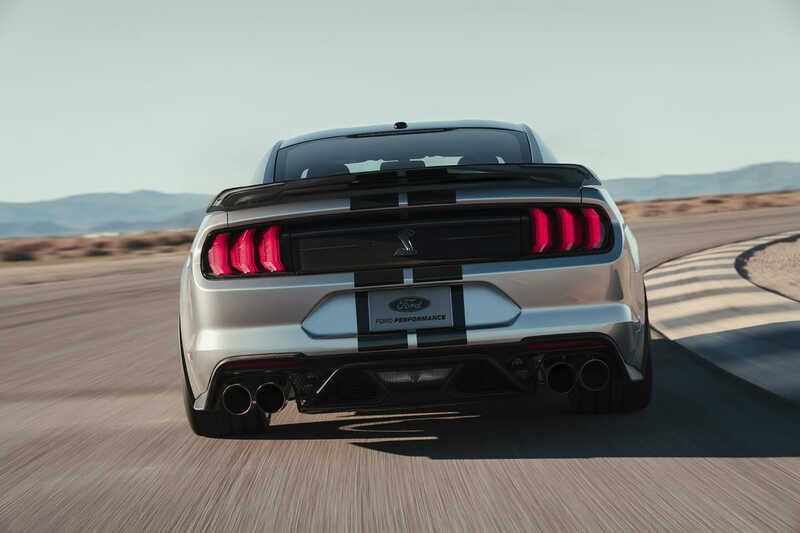 The GT500 nameplate is backed by a long heritage. 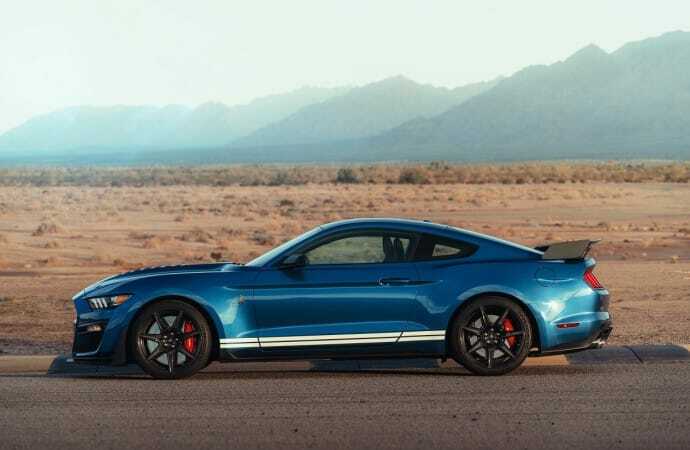 Making its return for the 2020 model year, the Ford Mustang Shelby GT500 joins the GT350 as a stablemate. It debuts with a more powerful motor, improved aerodynamics and race-inspired technology. 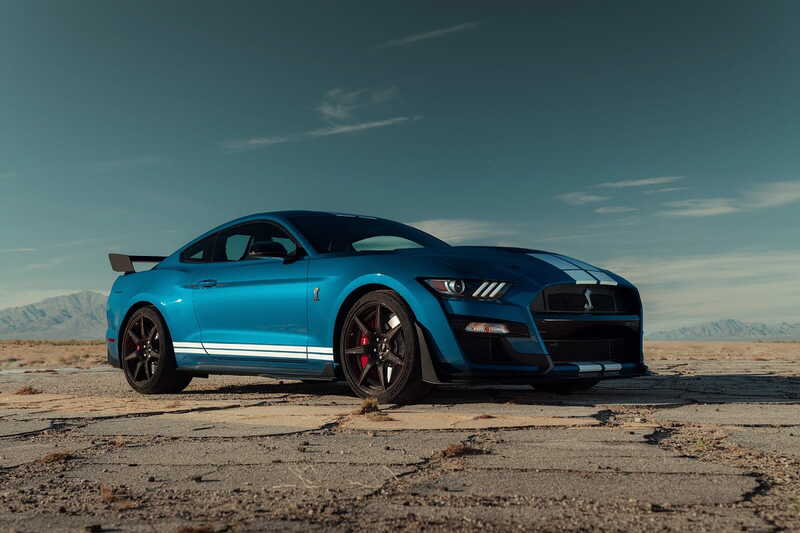 Under the hood of the 2020 Shelby GT500 sits a 700 horsepower, hand-built, supercharged 5.2-litre V8. This motor delivers supercar levels of performance demonstrated by a 0-100km/h figure in the mid-three seconds – making it the most powerful street legal Ford in the company’s history. The acceleration figures are aided by the standard Michelin Pilot Sport 4S or optional Pilot Sport Cup 2 tires. To put down the power and reduce shift times, a 7-speed dual clutch transmission is leveraged which was fine-tuned using insights from the Ford GT development. A revised suspension geometry featuring lighter front and rear coil springs as well as a new generation of Ford’s magnetic suspension gives the driver flexibility to adjust suspension stiffness for different driving scenarios. To help bring the GT500 to a stop are large 420-mm two piece rotors with Brembo calipers. For the more serious driver, two handling packages are offered. The Handling Package includes adjustable top strut mounts and a spoiler fitted with a gurney flap, while the Carbon Fiber Track Package features 20-inch carbon fiber wheels fitted with Cup 2 tires, and exposed carbon fiber aerodynamic components. Helping reduce the weight, the Carbon Fiber Package also deletes the rear seats. The GT500’s exterior design takes an aero-led approach which is both functional and attractive. Although the rear fascia remains largely unchanged from the GT350, the front fascia is what sets this model apart. 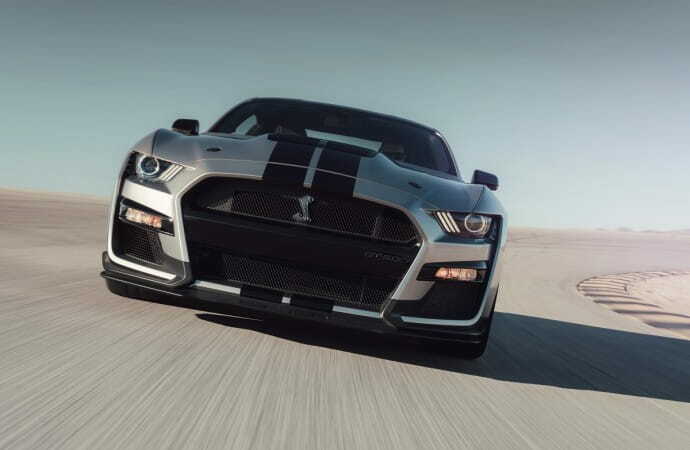 A larger, more aggressive front grille increases airflow into the engine by 50 percent more than the GT350. A wider stance thanks to larger wheels and flared fenders also helps keep the vehicle planted. 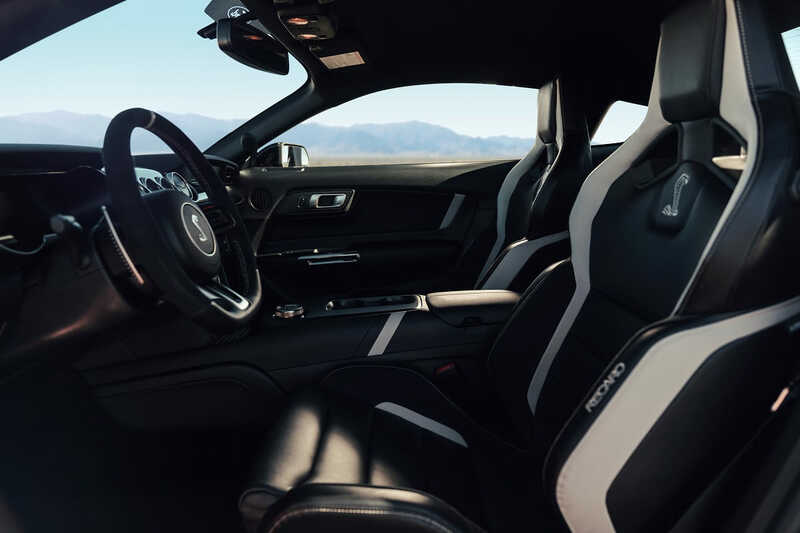 The inside is outfitted with similar materials as the GT350. 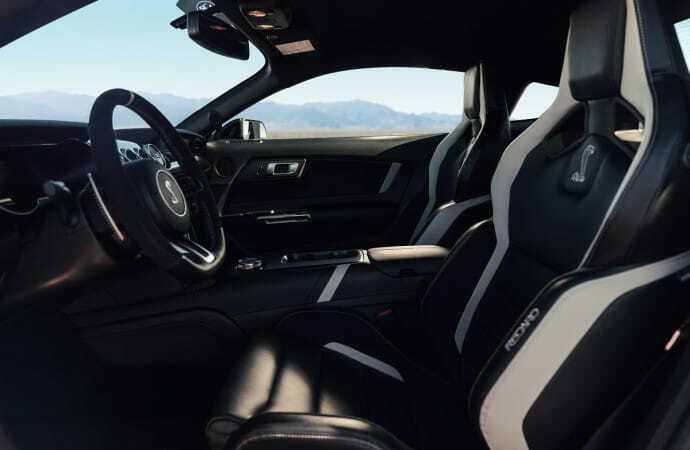 What differentiates the GT500, however, is 12-inch LCD instrument cluster and optional Recaro racing seats which offer safety harness pass-throughs and a more snug fit. The Shelby GT500 launches fall 2019.